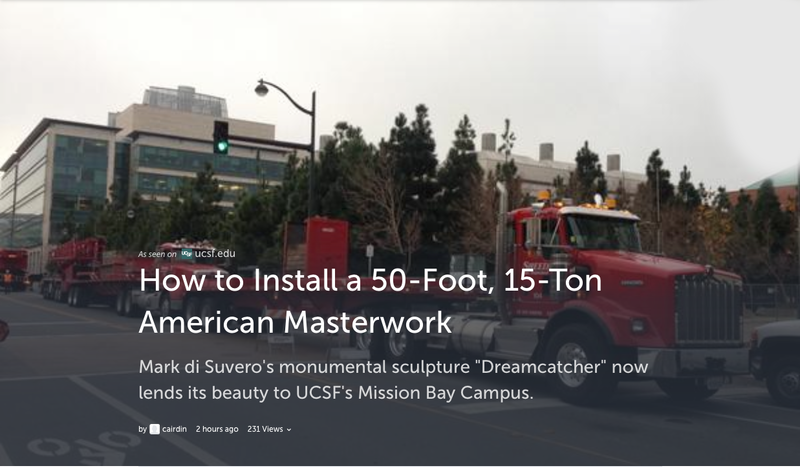 Thanks to the generosity of benefactors Jeanne and Sandy Robertson, Mark di Suvero‘s monumental “Dreamcatcher” sculpture has a permanent home in San Francisco. After the Crissy Field exhibition ended, the Robertsons purchased the piece and donated it to UCSF. 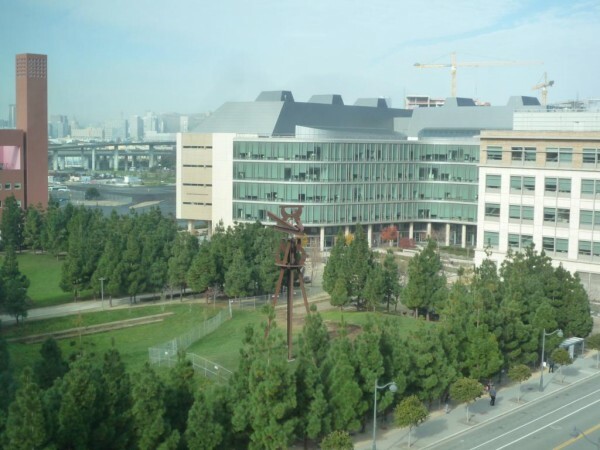 It was installed at the UCSF Mission Bay campus on the eastern side of the Koret Quad near Fourth Street and dedicated today. For more on the background of the Robertson purchase and donation, read the article by Jeffrey Norris of UCSF. 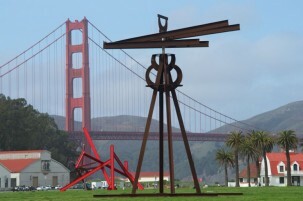 Mark di Suvero was born in Shanghai, China, in 1933 and immigrated to the US in 1941. He was raised in San Francisco and graduated from U.C. 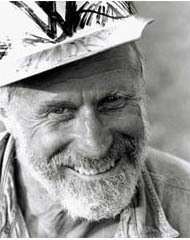 Berkeley in 1956 with a BA in Philosophy. He is one of the most important sculptors of his generation and his sculpture can be found in private collections and museums worldwide.